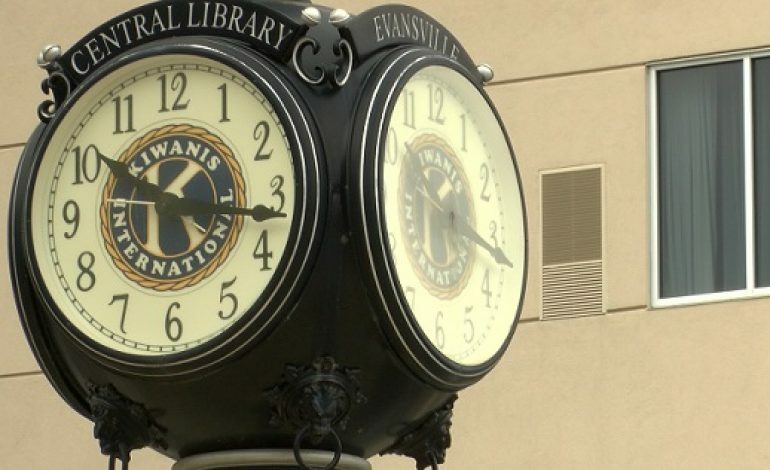 The downtown Kiwanis Club is celebrating 100 years of serving and supporting the city of Evansville this month. Reminders of their lasting contributions can be seen all around town with the club’s signatures trademark “K” leaving a lasting legacy on land markers throughout the city. The mission of the downtown Kiwanis Club began in 1918 following a business trip and a long train ride out west. Club historian and club member Kelly Coures says a local attorney was playing cards on a rail road train on his way back from Kansas City when he overheard gentleman from Kansas City talking about a club they belonged to. This club consisted of business men that spent their time raising money, mainly for children, in 1917. The attorney, Charles Rudd, began talking with an organization about opening a similar club in Evansville. Just like the Kansas City Club, helping children in need became the focus of Kiwanis. Kiwanis members have been behind several city tributes and gifts such as the fountain at Garvin Park, displays at the Mesker Park Zoo, the creation of Swirca, and the Kiwanis clock that still keeps time outside of Central Library.